Casa Mia real estate obtains cheap properties in Hungary. Our fields of activity are predominantly in the counties Vas, Zala, Veszprem and Győr-Moson-Sopron. Most of the listed properties are located in the beautiful landscape of the National Parks of the Őrség, Fertő-Hanság, at the Lake Balaton and in and around of pulsating thermal spa villages. Wide range of properties and fair prices guaranteed. Top locatation the heart of Budapest. 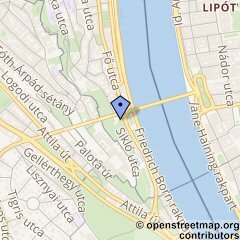 Only a few meters to the Chain Bridge, the Gellert Hotel and termal spa. 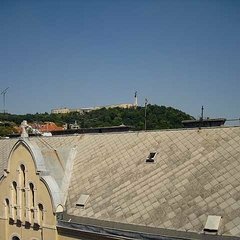 With a view to the citadel and the Gellert Hill. Well maintained Art nouveau house. The flat in the attic was been renovated in 1998 and offers you a spacious 170sqm duplex apartment with a 83sqm living room with chimney and gallery. The apartment ist perfectly furnished. Two bathrooms and separate guest toilet. Heating by gas radiators. A safe investment. This calculation is based on an exchange rate of 323,79 HUF = 1,00 EUR . Budapest (Hungarian: [ˈbudɒpɛʃt]) is the capital and the largest city of Hungary, and one of the largest cities in the European Union. It is the country's principal political, cultural, commercial, industrial, and transportation centre, sometimes described as the primate city of Hungary. In 2011, according to the census, Budapest had 1.74 million inhabitants, down from its 1989 peak of 2.1 million due to suburbanisation.The Budapest Metropolitan Area is home to 3.3 million people. The city covers an area of 525 square kilometres (202.7 sq mi). Budapest became a single city occupying both banks of the river Danube with the unification of Buda and Óbuda on the west bank, with Pest on the east bank on 17 November 1873.